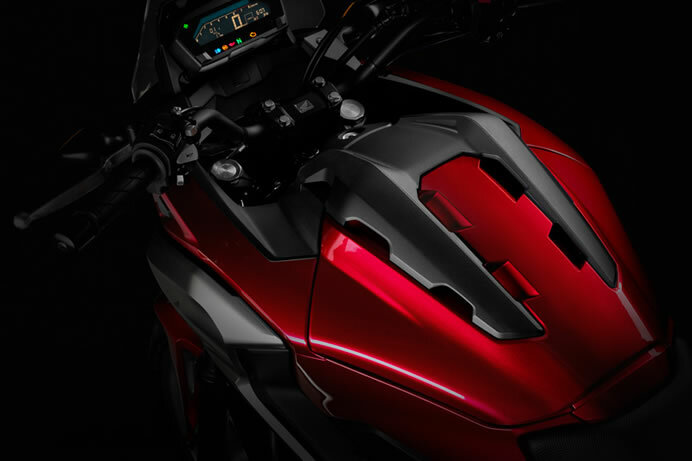 Honda will exhibit the world premiere of the NC750X and 400X with reinvigorated exteriors and refined componentry, at the 44th Tokyo Motor Show 2015. The Honda NC750X and 400X sports models, developed according to Honda’s “Crossover Concept” fusing on-road and off-road values at a high dimension, are popular with a wide spectrum of customers. Both world premiere models – NC750X and 400X, sport reinvigorated exterior designs, including all-LED head- and tail-lights. The newly designed windscreen efficiently provides wind protection for the rider, ensuring a stylish and comfortable ride. The NC750X’s front suspension is equipped with dual-bending valves which optimize linear compression and decompression damping characteristics, improving ride comfort. The Dual Clutch Transmission (DCT) is programmed with 3 S-mode levels, allowing the rider to select optimum gear shifts. The newly-designed compact and lightweight atypical cross-section mufflers in NC750X contribute to improved maneuverability, while producing a rich beat. 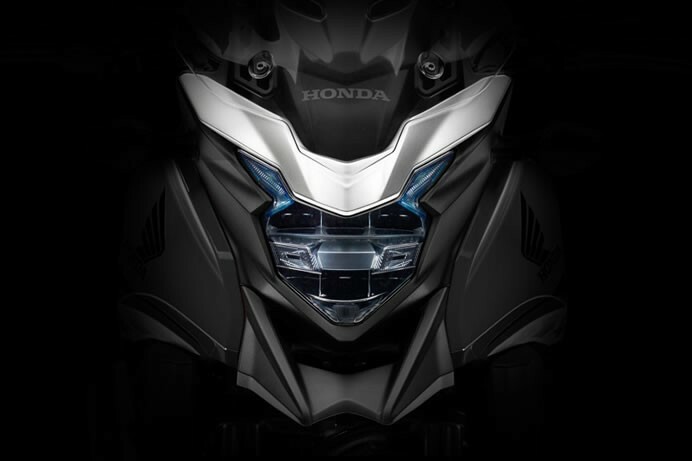 Developed according to Honda’s “FEEL THE ADVENTURE FORM” concept, LED head- and tail-lights enhance the 400X’s masculine look. 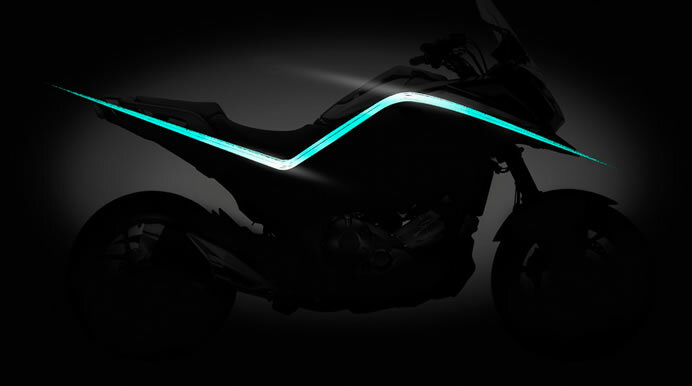 The new model comes with 100mm taller windscreen – compared to previous model – provides even more wind protection for the rider. The front suspension of 400X is equipped with preload adjusters and the brake lever is adjustable to fit hands of varying sizes. 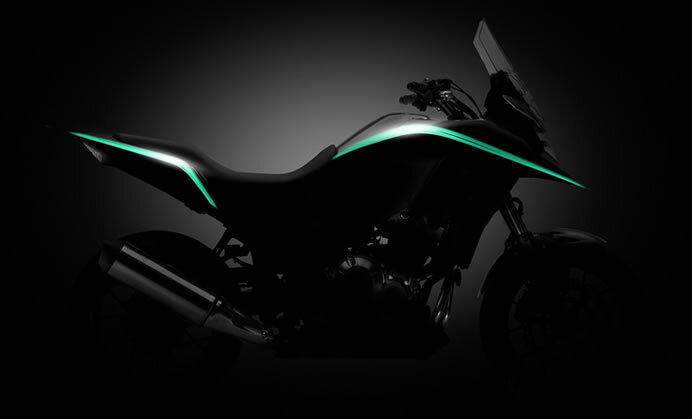 Honda plans to release the new NC750X in Japan and Europe and in North America as the NC700X and 400X in Japan, and in Europe, North America and Asia as the CB500X.